This is the second part (although first chronologically) of our trip yesterday. 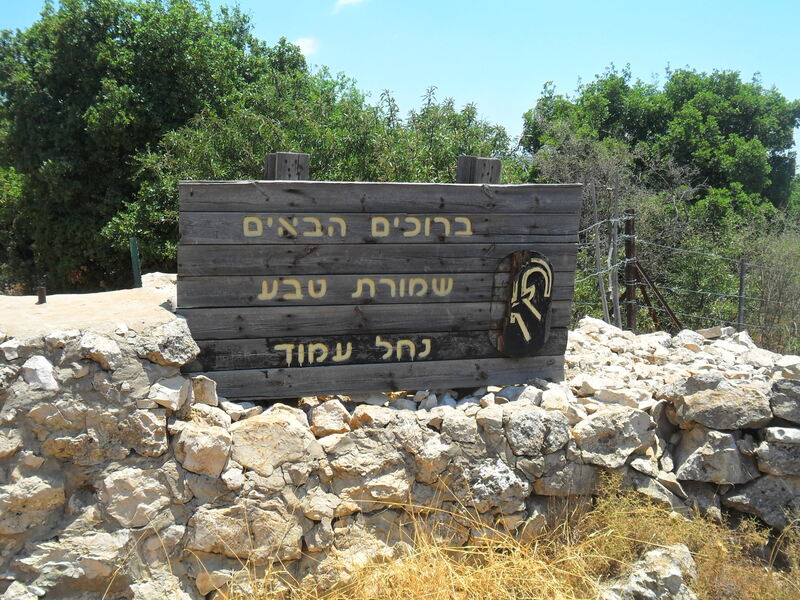 Kibbutz Ga’aton is just next to Yehiam and is named after the small river Ga’aton which drains out from the low mountains of the Western Galilee, down the Ga’aton Street in Nahariya and into the Mediterranean Sea. 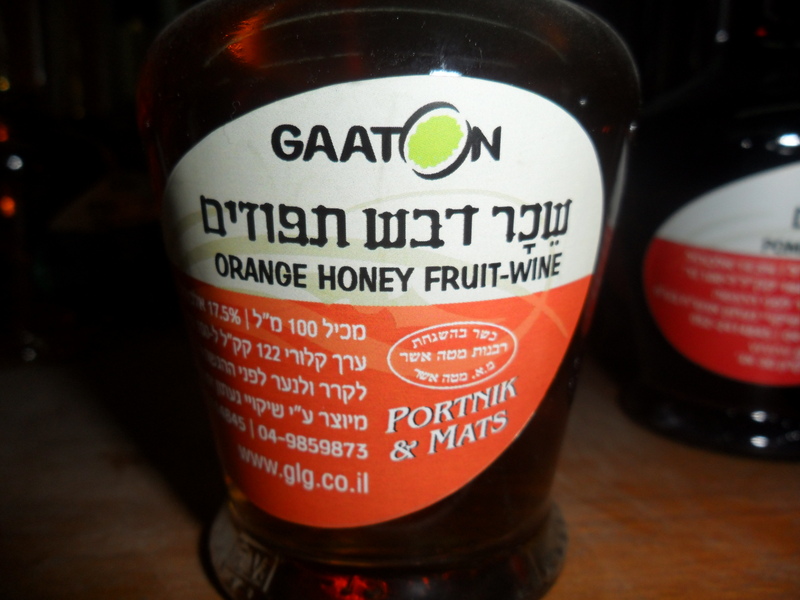 We had researched about this wine maker just briefly before leaving the house and had to ask for directions once inside the kibbutz. A kind “native” told us to follow him and led us to a humble, ivy-covered building. 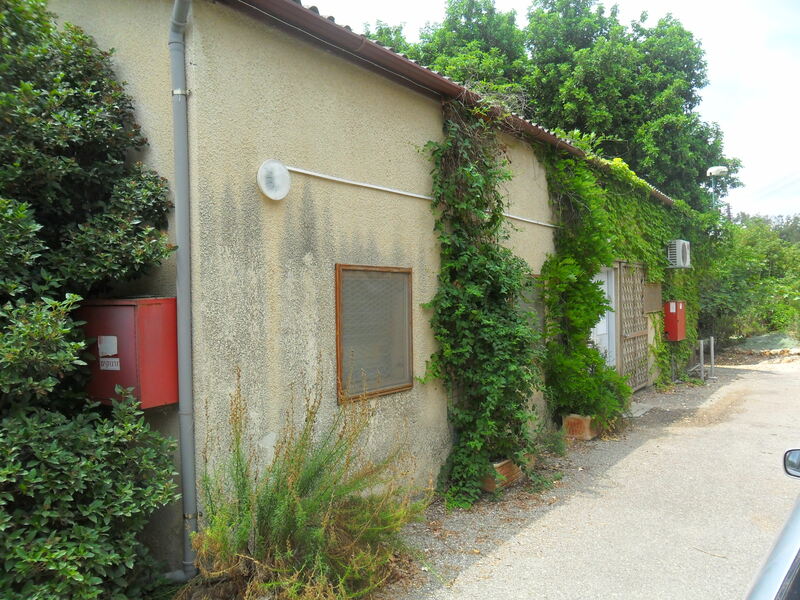 A sign on the front door displayed the winery’s name and logo, a symbol of its first creation, the passionfruit wine. We were eager to open the doors and escape the smell of the cows, sheep, chickens or whatever it was the provided us with the odour that assailed our nostrils so vigorously. Once inside, the delicious smell of passionfruit cleared through us and we eagerly sought out the management. To our intrusion, the management whose name is Gideon happily broke off from his duty and began to give us his short tour and story… And he said it in English. Gideon showed us to his main room where he had a few bookshelves displaying the goods, the fruit of his labour. Next Gideon asked us if we wanted to see what he was currently making, a passionfruit wine (the one we smelled when we came in). 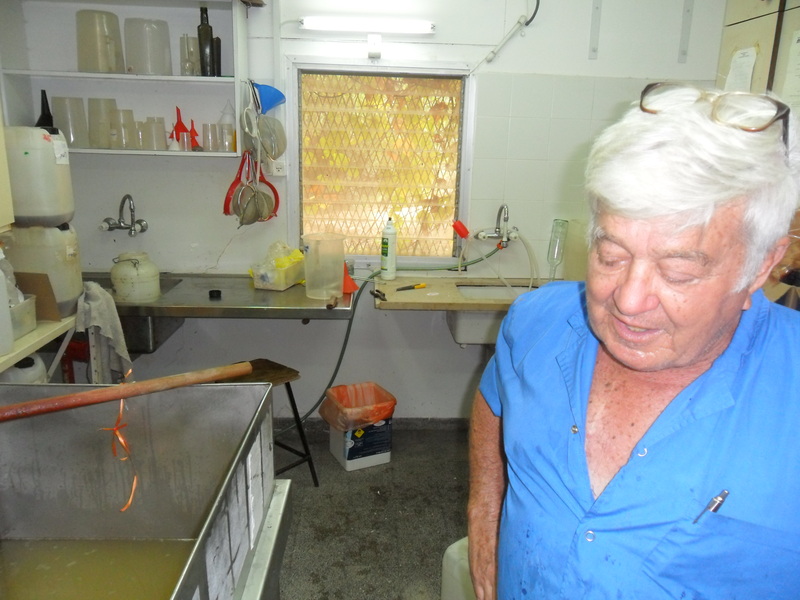 He took us to his “kitchen” and showed us the vat of passionfruit juice. 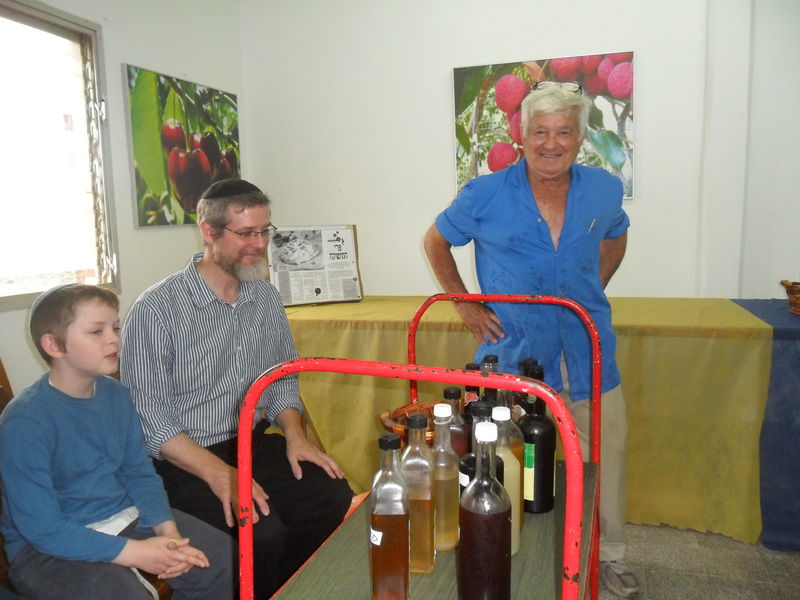 He stood there as we inspected his workroom and told us how he used to be an orchard-grower. 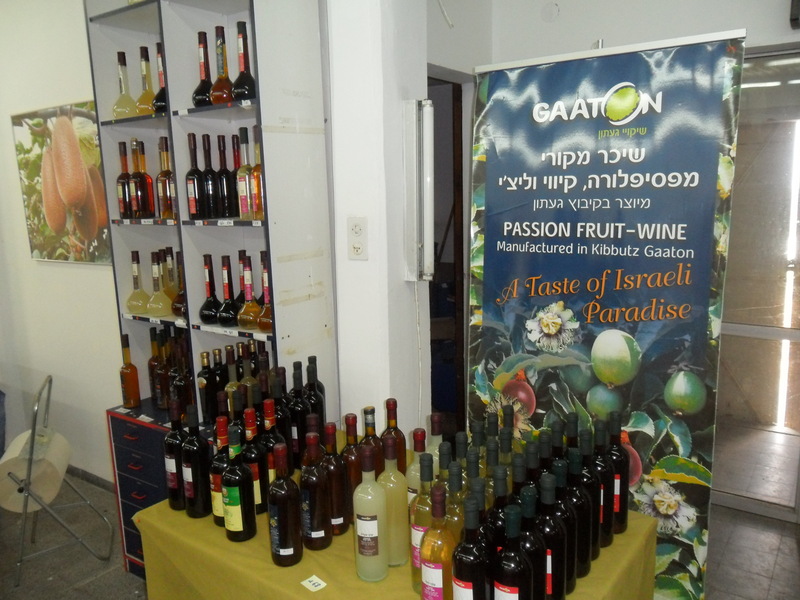 Now he is retired and decided to make fruit wines as a sort of profitable hobby. But he likes to keep things small. A few years ago he shipped pallets of wines to England, France and the USA but he prefers to sell locally. After a few minutes he took us back to the main room where he offered us to try samples. We were waiting for this! He sat us down and wheeled out a cart with a bottle of each of his wines; passionfruit, cherry, pomegranate, lychee, almond, honey apple, honey orange and some blends. Gideon then walked away and continued with his work. 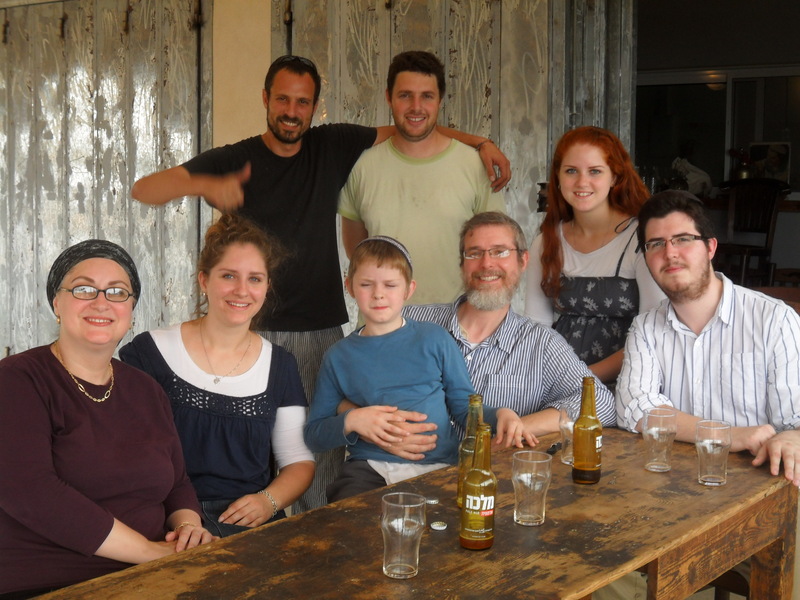 Shortly after, while we were still sipping on the numerous alcoholic beverages before us at our own little open bar, another family came in and he began the tour over again, in Hebrew. In conclusion, I liked the pomegranate wine the most and the honey wines the least. We purchased a few bottles, and one to give as a gift to a family we know who just moved into a new house. 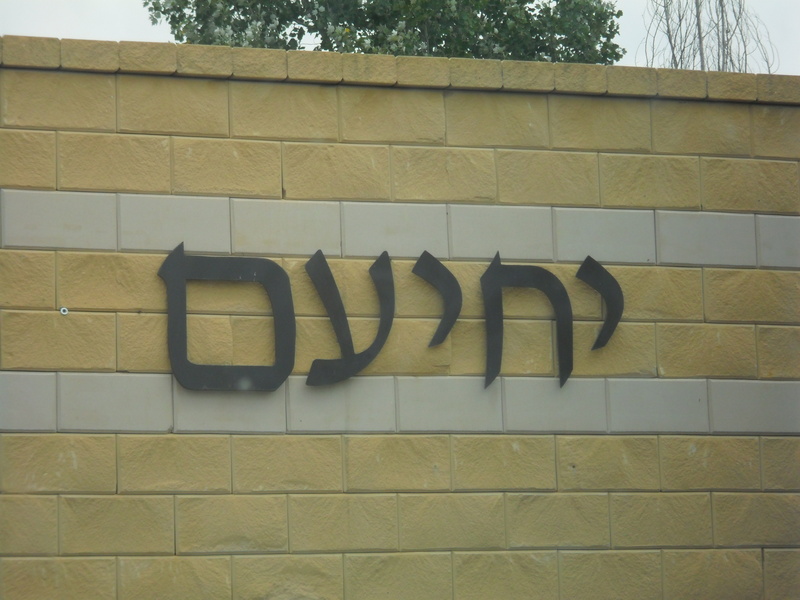 Gideon wishes us a safe drive back and showed us how to get out, and that is when we went to Yehiam and the Malka Beer plant (see previous post). We entered Yehiam and drove around. After some driving we got out and looked about. 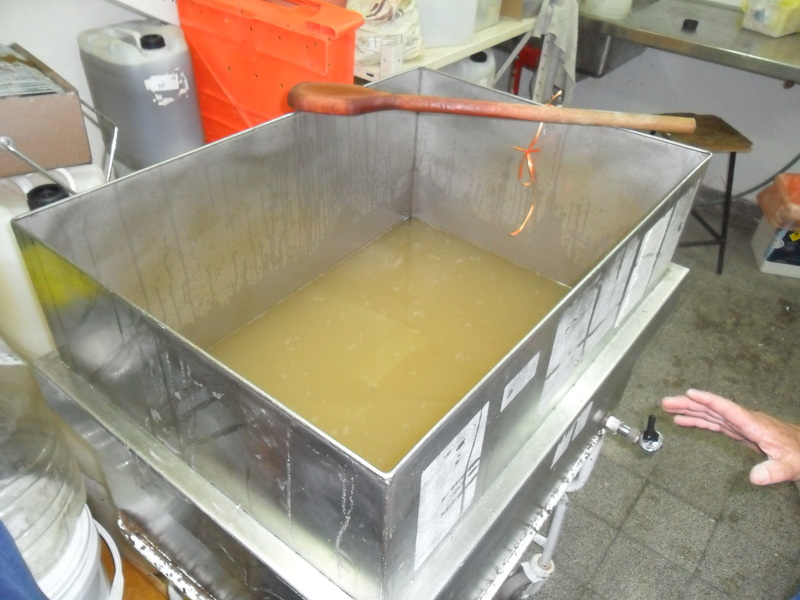 There was an odd aroma similar to that of potato chips. Curiosity got the better of me and I followed the amazing smell around a building to a nice big wooden deck. 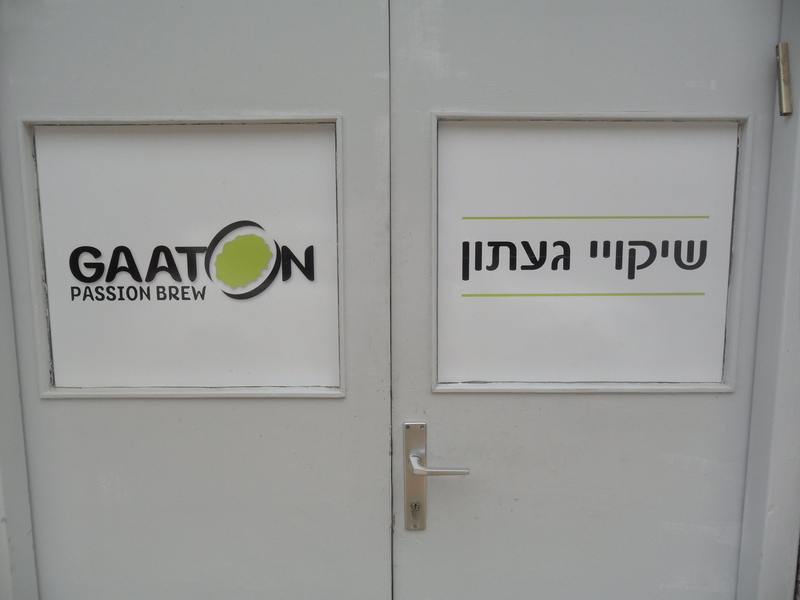 An open door beckoned and I went in to find a micro-brewery humming away by the name of Malka Beer (Beera Malka which means Queen Beer in English). Inside, master brewer Omri was boiling the grain in some sort of process that makes the beer. 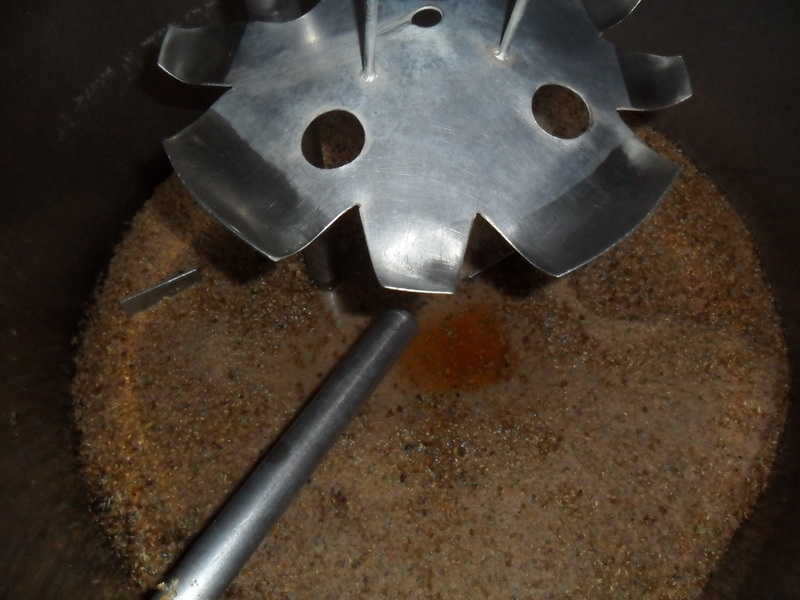 He had it straining into small buckets and then would decant the boiled beer into another vat. 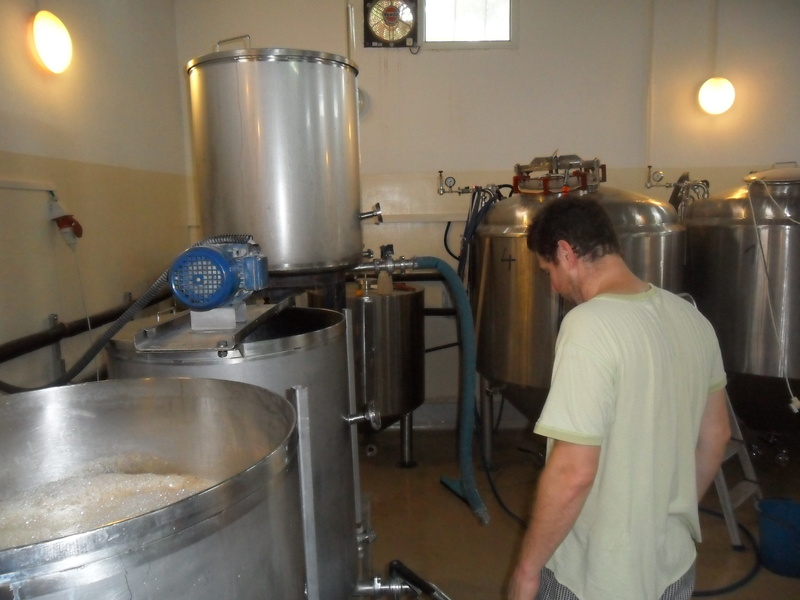 Although he spoke a decent English, we didn’t get the detailed rundown as to how they go about making the beer. 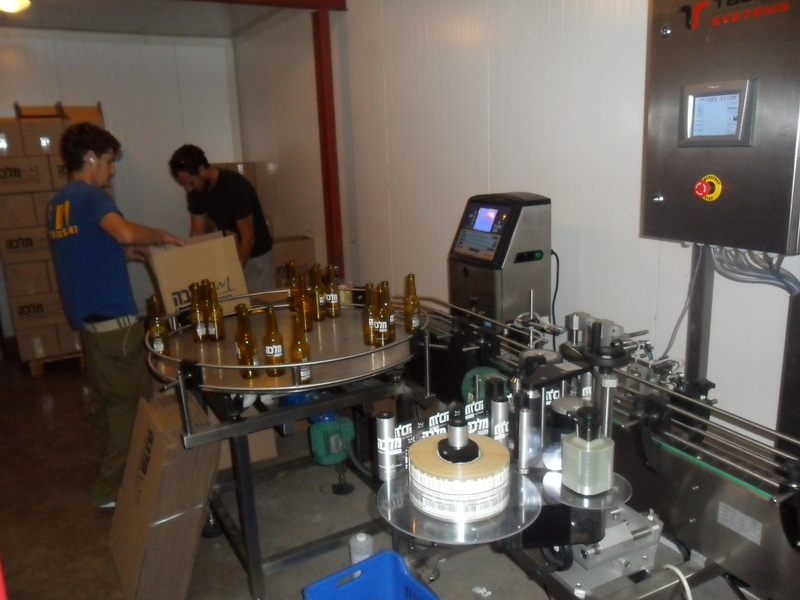 The bottling was done in a side room. A young man, who helped us take pictures, is inside sorting through empty bottles and putting them somewhere, for reasons that I do not know. 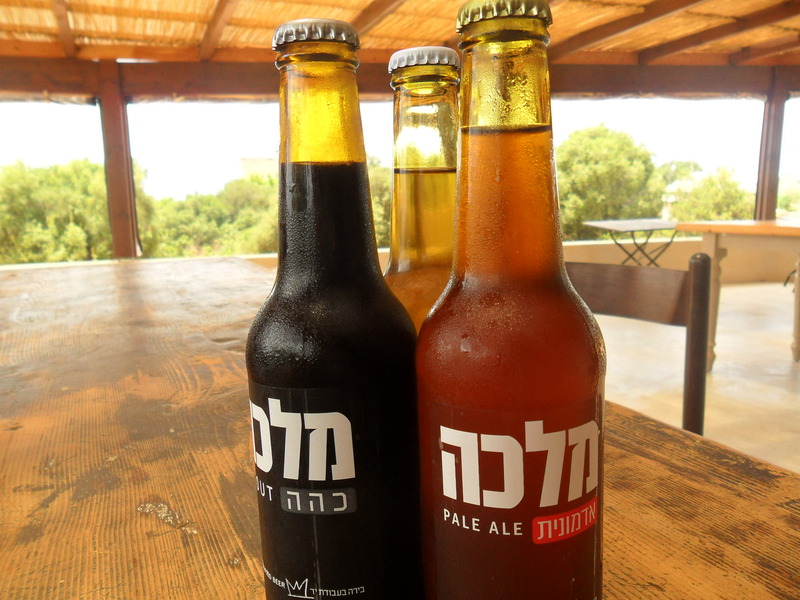 We asked the owner, Assaf Lavi (who speaks a fabulous English), if we could try some beer. He was kind enough to go into the little bar they have and find us a bottle of each of the three; Irish Stout, Pale Ale and English Lager, for us to try. We stepped outdoors onto the deck and sat down around a rustic table for some beer sampling. 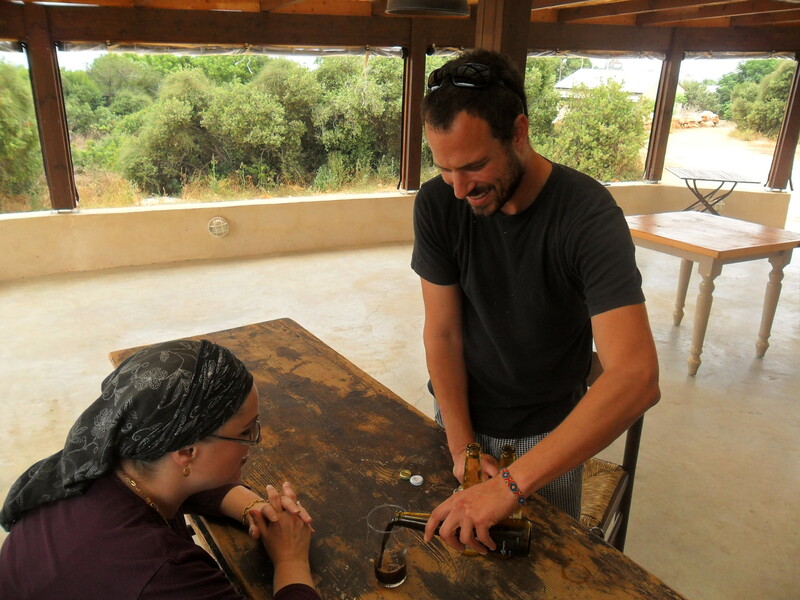 Assaf brought out glasses and poured us each a generous serving, letting us taste from his stock of cold goodness. 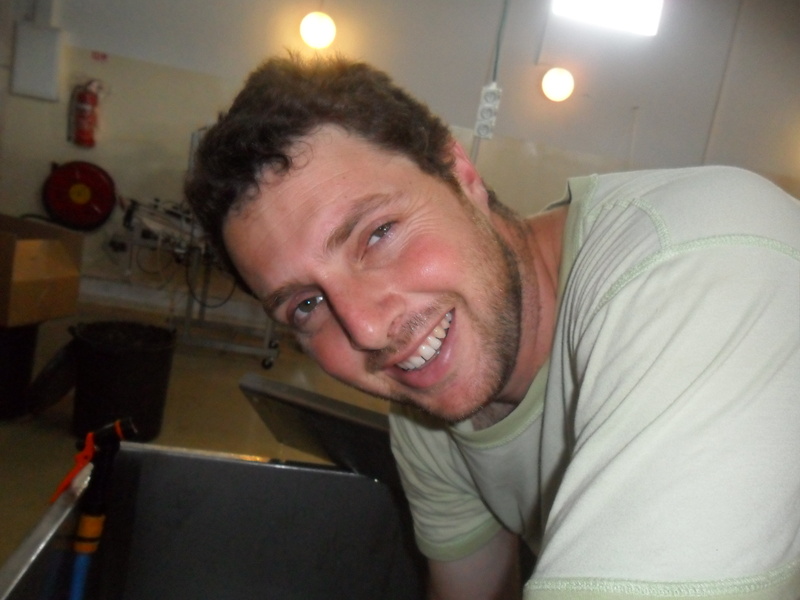 As we sat in the cool shade, sipping the cold beer and commenting on the richness, the freshness and the taste, Assaf told us about how he began doing this. He is in the process of selling his current, older equipment and opening a larger plant for wider distribution. For us it didn’t matter, as long as his new factory is still within a 15 minute drive, we’d be happy. 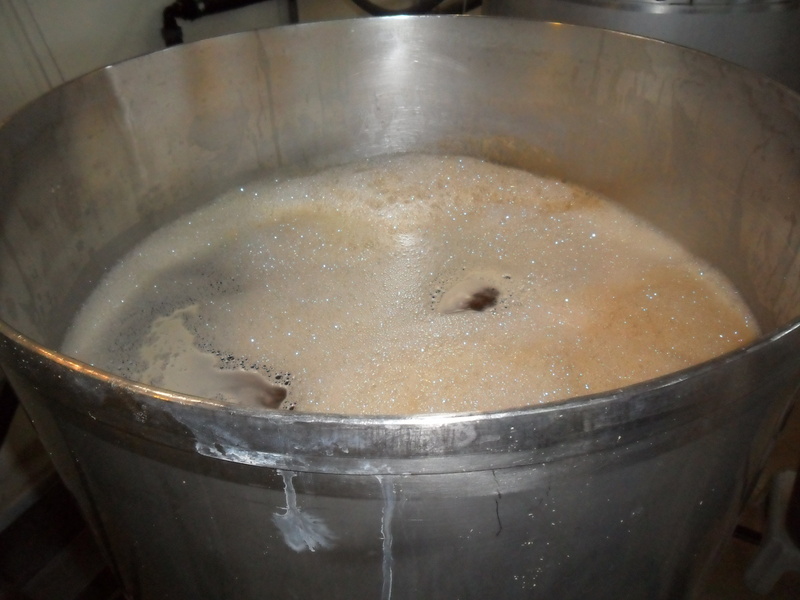 We then placed an immediate order for 24 bottles; 12 Irish Stout and 12 Pale Ale. 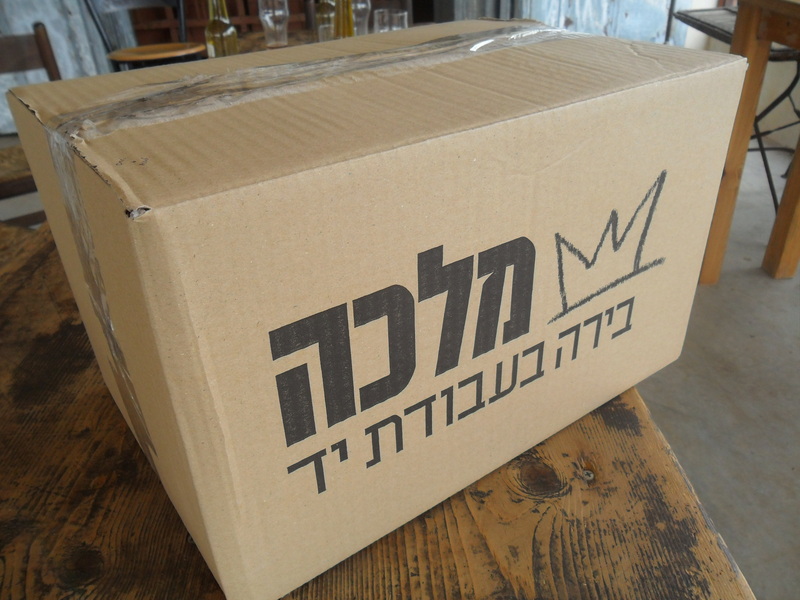 Assaf went inside and filled a box for us, another sale for another happy customer. 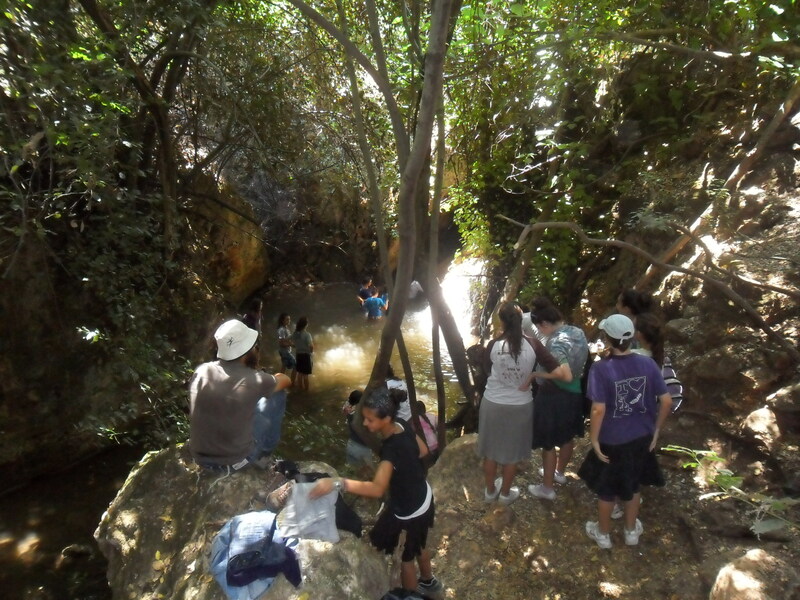 Today we took a trip to Nachal Amud, a 15-mile long river between the Meron Mountains and Tzfat (Safed). A popular attraction for hiking and camping, the river was declared a nature reserve in 1972. We parked and showed our yearly membership pass before continuing down to the main trail. After a little bit of walking, the sun scorching but the wind blowing sufficiently upon us to keep us at a reasonable temperature, we came upon an abandoned building. 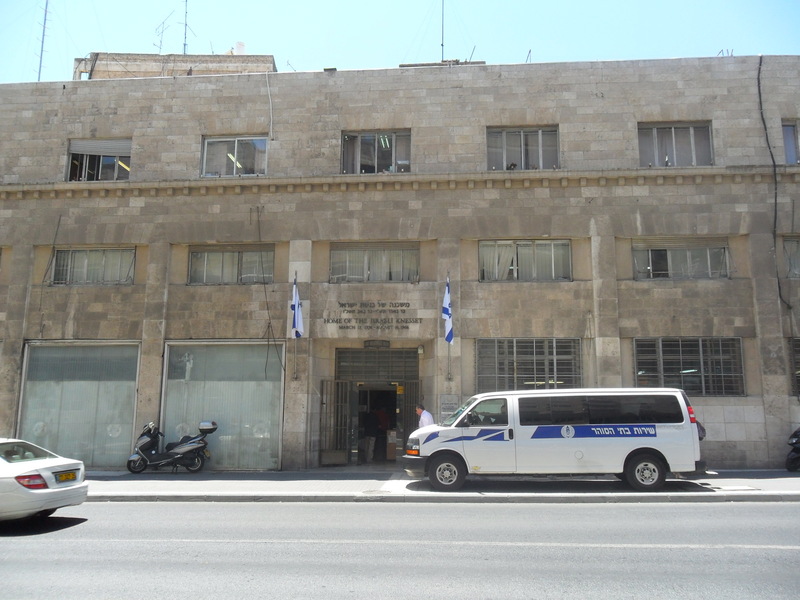 After reading the pamphlet it became clear to us that this building was the old British Mandate police headquarters for the area back in the 1930s. 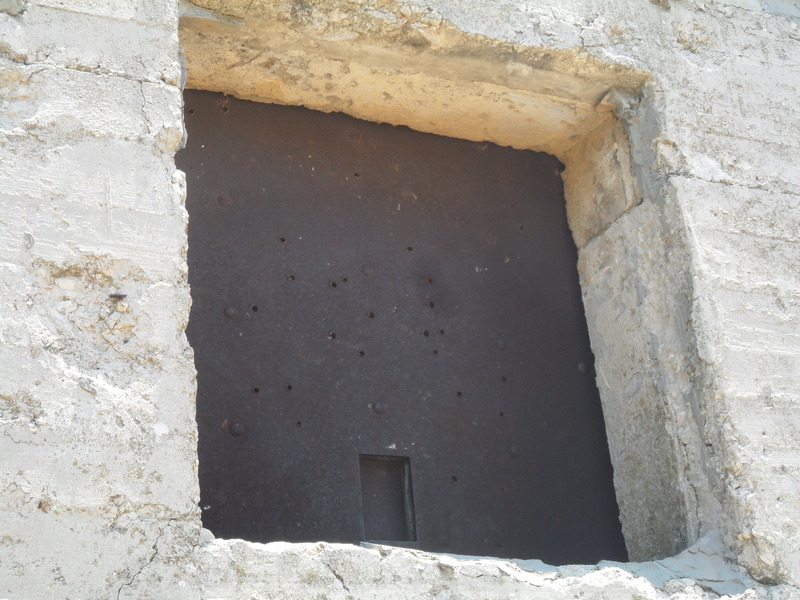 The south side of the structure was riddled with bullets from some previous battle(s) as were the metal plates that swung down to protect the open windows. Turning away from the ruins, we headed west to make our descent to the river. 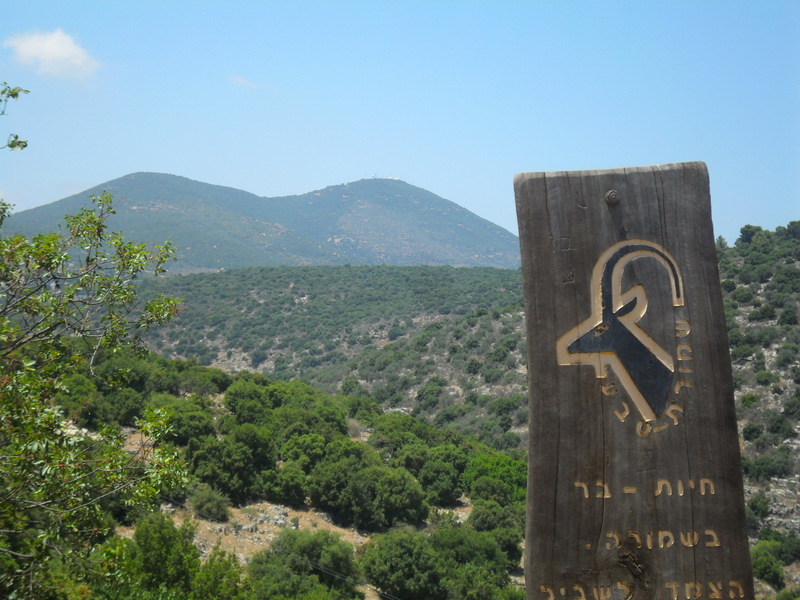 This is the view of the Meron Mountains, the highest peaks in all of Israel outside of the Golan. As we approached the water, screams of joy could be heard. We encountered an enormous group of young teens who’d come out to hike and to enjoy the river’s many swimming holes. Here was one that had a waterfall which was illuminated by a direct beam of sunlight (as visible in picture). 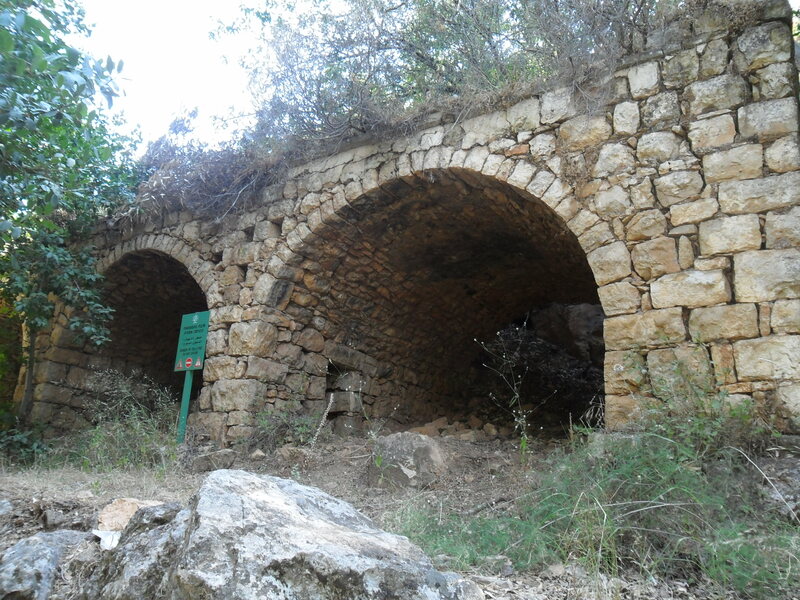 Leaving the swimming holes and walking on a slightly higher altitude, we came across a series of old building and structures along with a narrow and surprisingly long aqueduct that brought water to the higher area. 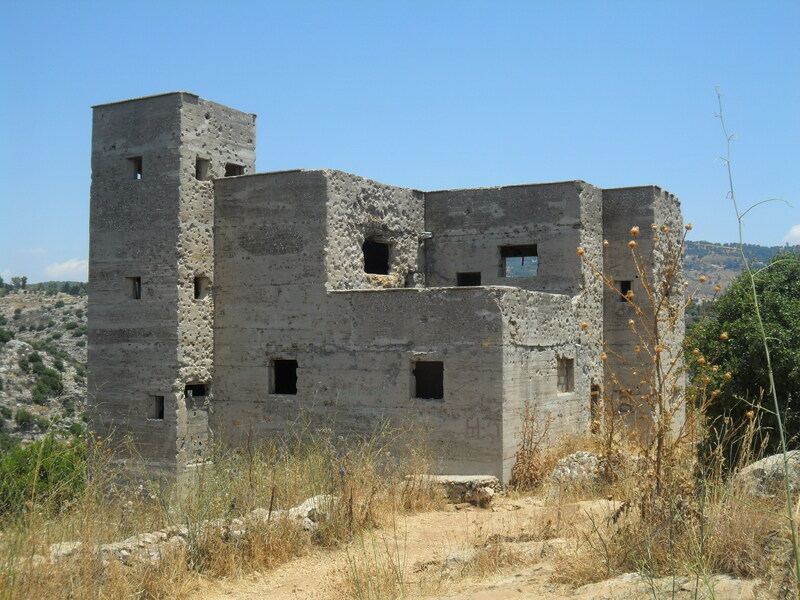 The buildings comprised a complex known as the Sheik’s House. It was very nicely built with an orchard and a vineyard on the downward slope back down to the river. 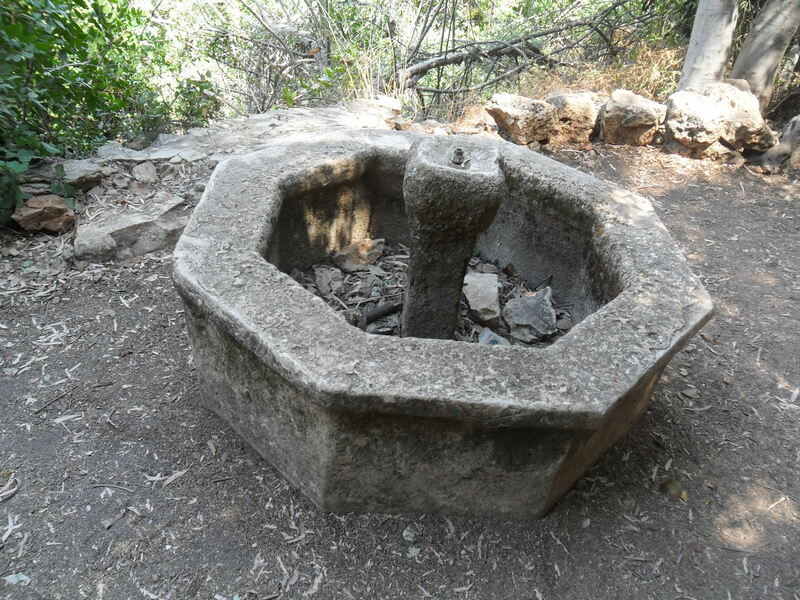 Along the path, still in the area built up by some mysterious Sheik, there are these too. The fountain may be more modern, I do not know. As for the arched structure, that may have been a stable or even rooms to sleep or eat in. As we cleared through the numerous archaic structures, many of which have been overgrown with vegetation, we began the uphill ascent back to the parking lot. The path was far more grueling than we had imagined but for a time the view was great. 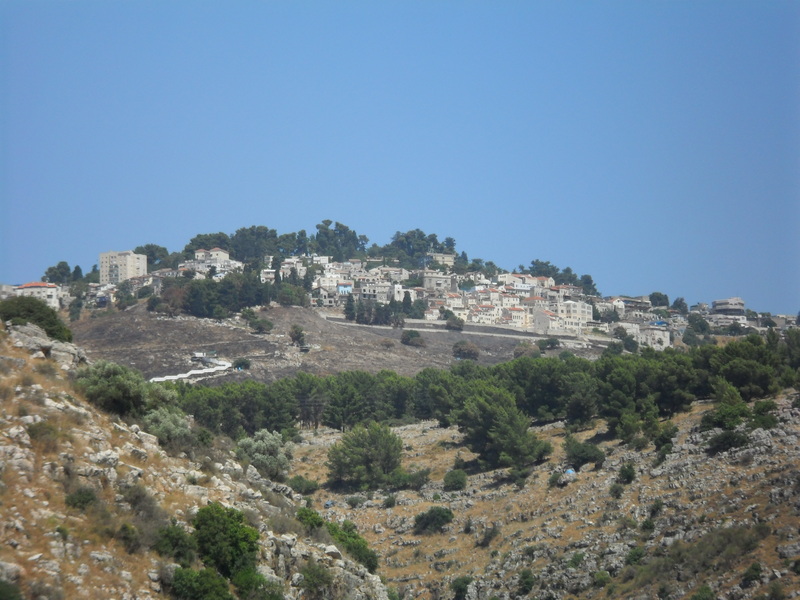 Here, in the distance, in the famous city of Tzfat (Safed), on a mountaintop between the two hills closer to us. 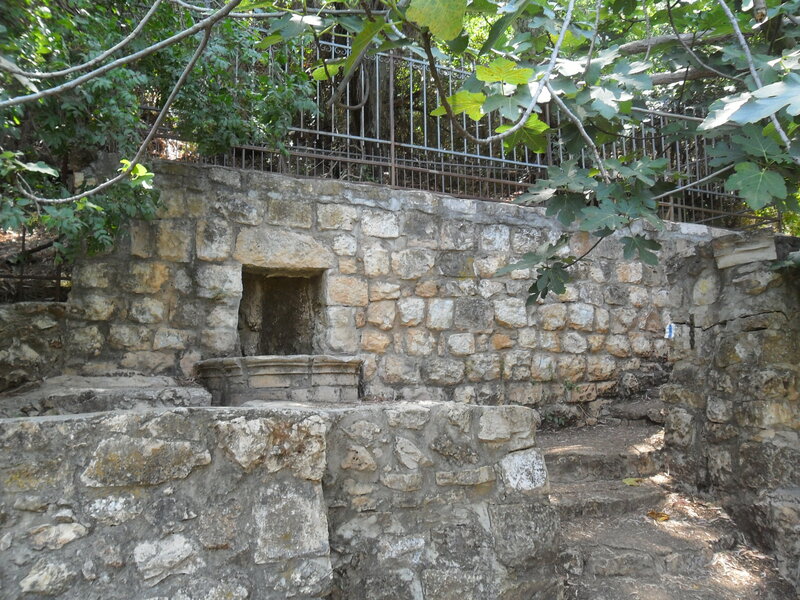 An additional piece of trivia: Archaeologists have done some searching in the area of Nachal Amud after someone in 1925 chanced upon historical findings dating back supposedly thousands of years. We didn’t see anything. Maybe next time! We drove to the Mamila Mall/Jaffa Gate parking lot and got out to make our way to the Kotel (Western Wall). We prayed and wandered about watching the multitudes of tourists from China, Italy and Russia as well as the usual stock of Israelis. Inside the sheltered part of the Wall there has been excavations done over the past years. A glass observation deck has been set into the floor to show how deep the wall is. 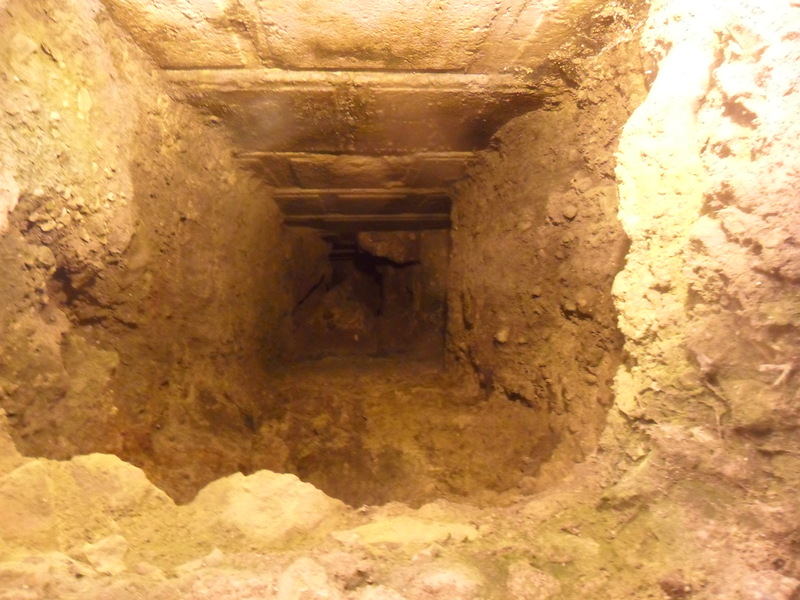 Over half of the Kotel remains submerged after millennia of abandonment. 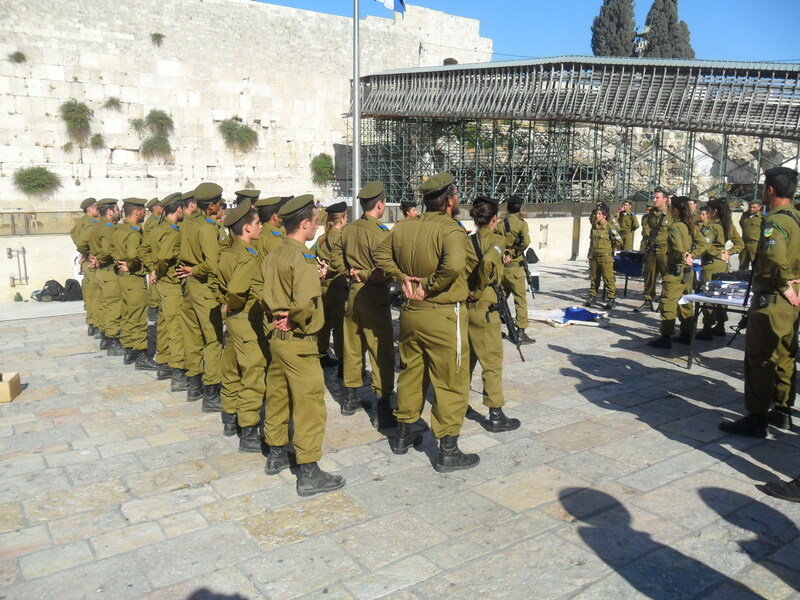 At the Kotel Plaza we happened upon an IDF swearing-in ceremony. 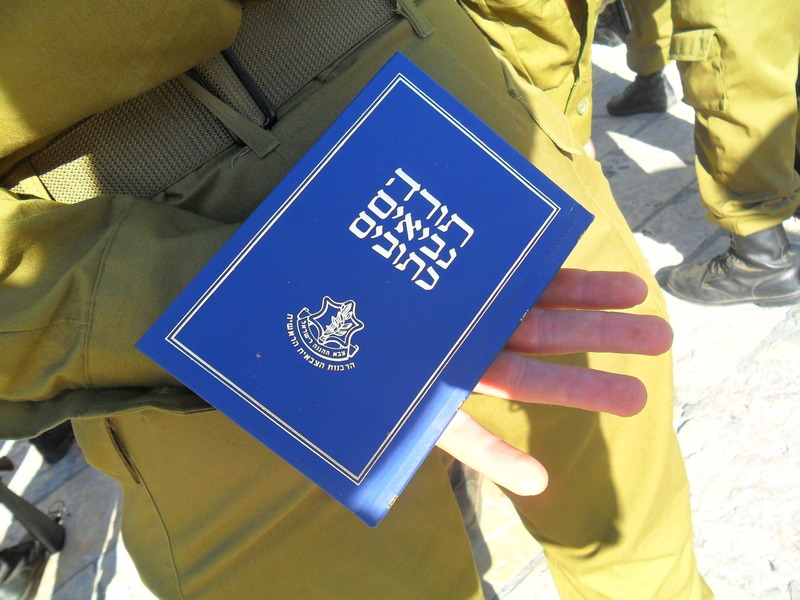 Young soldiers were receiving their weapons (M16 rifles) and their Tanachs (complete Bible of the First Testament). For all Israel’s supposed secularism, its Army is pretty religious with its additional law of serving only Kosher food to the soldiers. Walking through the Christian quarter we saw a cassocked priest making his way through the streets. 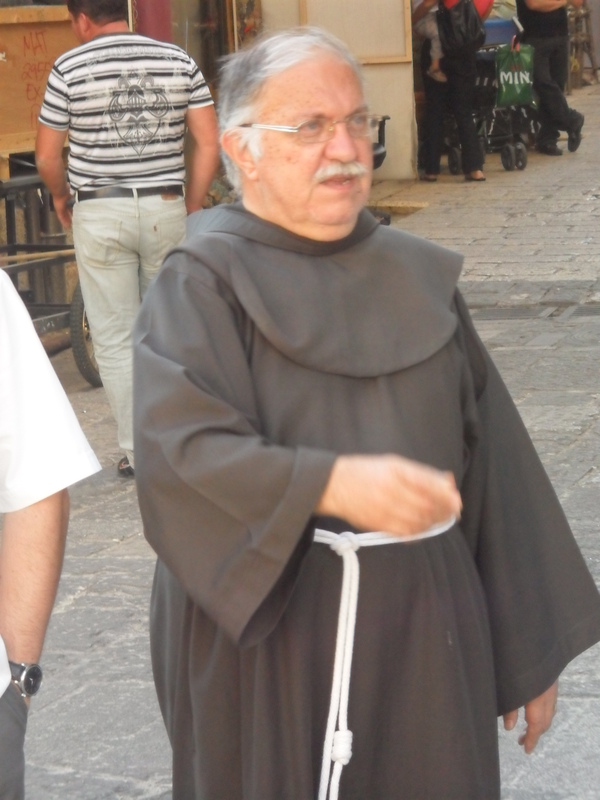 Often nuns can be seen throughout the Old City as well as Islamic religious leaders and the like. 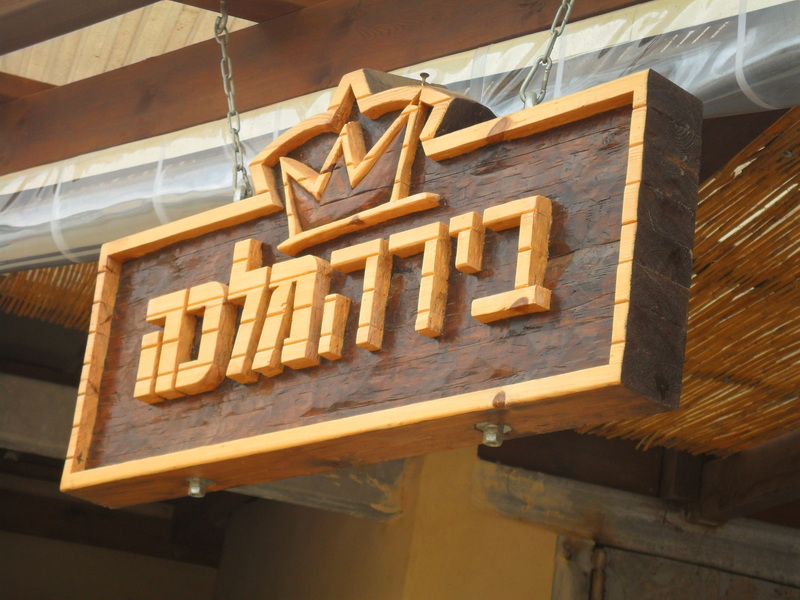 In the Christian Quarter there is a shuk (marketplace) where all sorts of goods can be bought. Many stalls and stores cater to the tourists, providing them with souveniers such as authentic Arabic nargilas or hookahs as well as the traditional t-shirts, coffee mugs, postcards and jewellery. As the day gets late and the sun begins to go down the stalls slowly close up shop for the day, to be locked up until dawn the next morning. 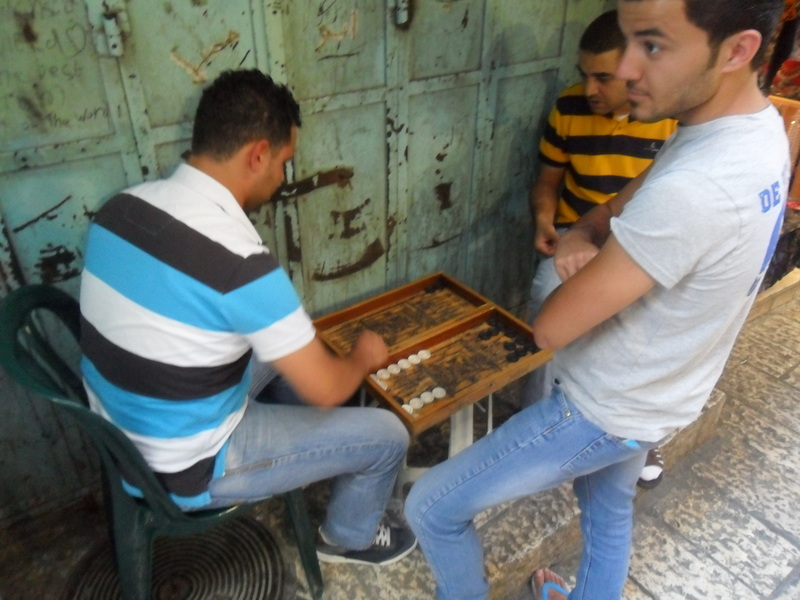 These Arabs (presumably Christian) were engaged in a game of backgammon as the dwindling crowd of passers-by filtered through the long and ancient stone street. 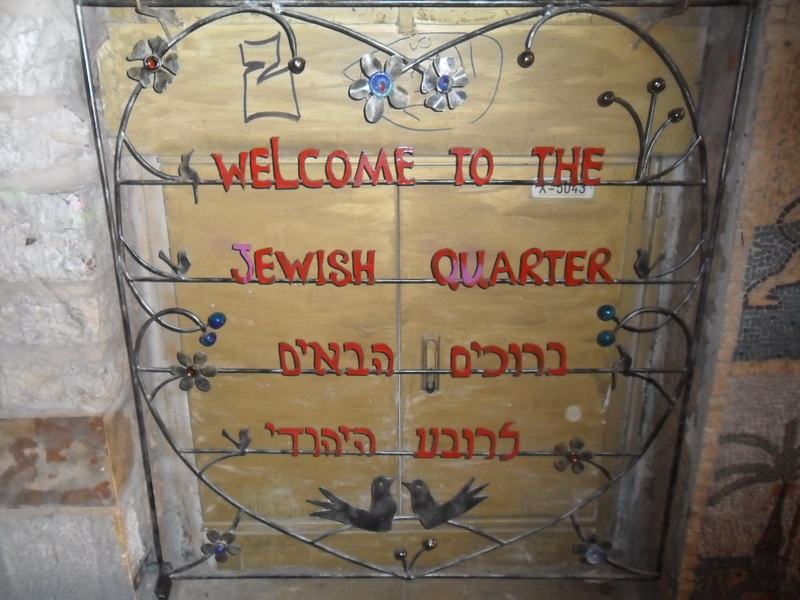 The entrance to the Jewish Quarter from within the heart of the Old City is decorated with murals and artwork. For those hungry as they walk through the bustling streets of Jerusalem… This man stood dishing out free samples of falafel with hummus on wedges of pita, trying to lure customers to his restaurant. Now that’s street food! When it’s all said and done and a long day has been enjoyed in the city renown for spirituality and tourism… Only this t-shirt can declare what really went on. Today we took a trip to Jerusalem with the whole family. This is the first time doing so since I was a baby when it was just my parents and I. We arrived and parked near Ben Yehuda St. where we started our adventure. 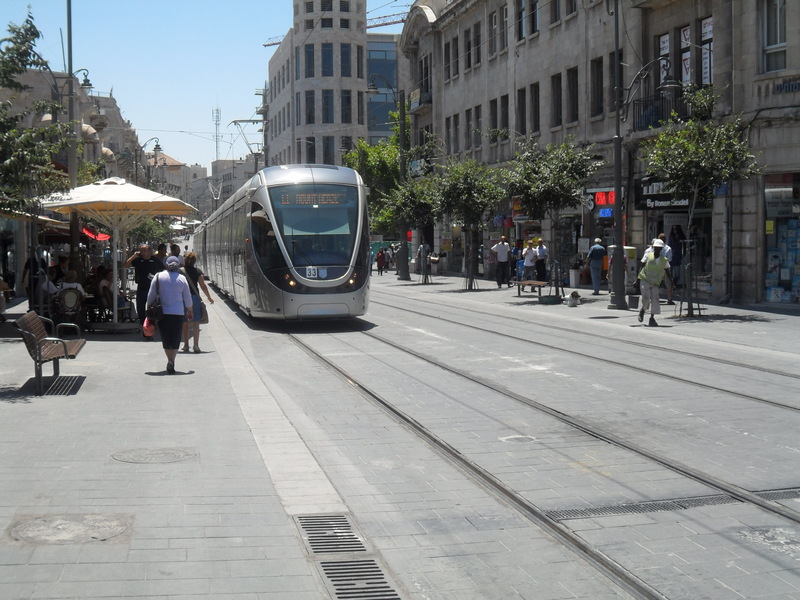 When we reached the intersection of Ben Yehuda and Jaffa St. we saw the new rail system that had recently been installed in one of the busiest areas of Jerusalem. Happy-looking passengers peered out of the spotless windows, their seats still covered in their protective plastic. After some time we had rounded a few corners and ventured down a few streets. On one corner a building stood with the title “Home of the Israeli Knesset” from back in the early days of Israel as a fledging country (the exact dates being March 13, 1950 to August 10, 1966). A passing old man (Israeli I presume as he asked me if I was a tourist in Hebrew as he saw me snapping pictures) informed me that the building of topic was built by a family immigrated from Europe and after some years when the Knesset decided to move their meetings from Tel Aviv to Jerusalem the capital this building became open for use. 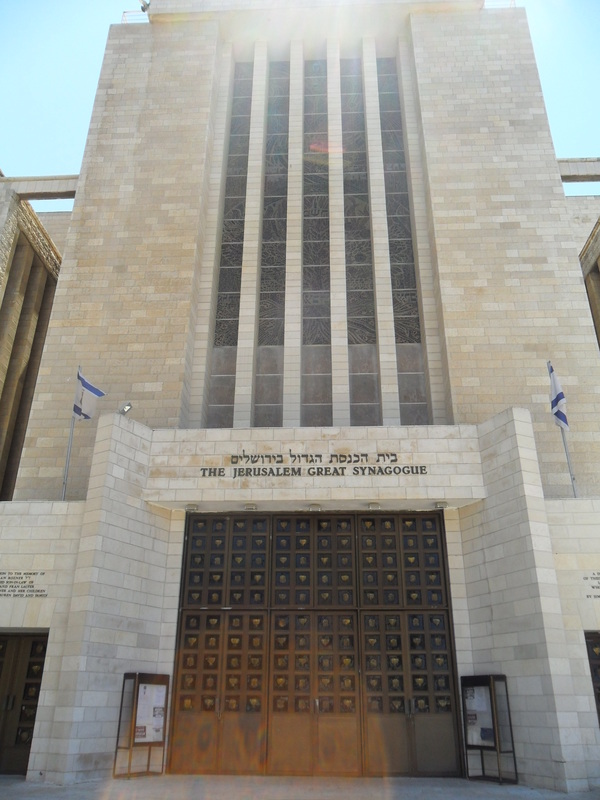 Now the old Knesset building serves as a Bet Din (Rabbinic Court). Continuing with the sight-seeing, we found The Jerusalem Great Synagogue, an impressive building situated oddly close to the Central Synagogue of Jerusalem, another huge synagogue. Some time after seeing both synagogues I had bumped into an old classmate from Detroit. We were walking back towards Ben Yehuda when we spotted an odd spa feature. A man sat in a chair with his feet dangling in an aquarium filled with tiny fish that nibbled at him. He seemed to be enjoying himself as the fish snacked away. Fun! 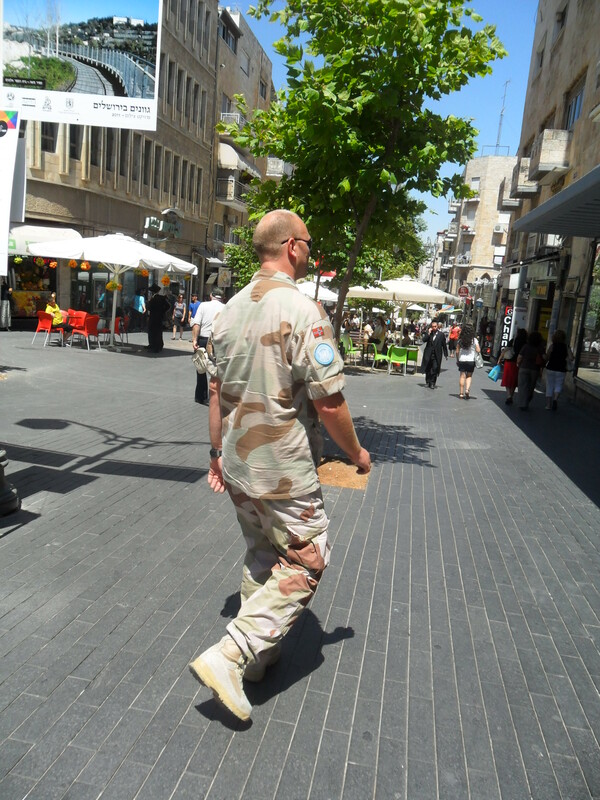 As we turned onto Ben Yehuda again an unusual looking soldier was spotted. He was from the UN with a small Norwegian flag stitched to his sleeve. He fit well with the few UN vehicles we’d seen throughout the day, prowling the streets of Jerusalem. 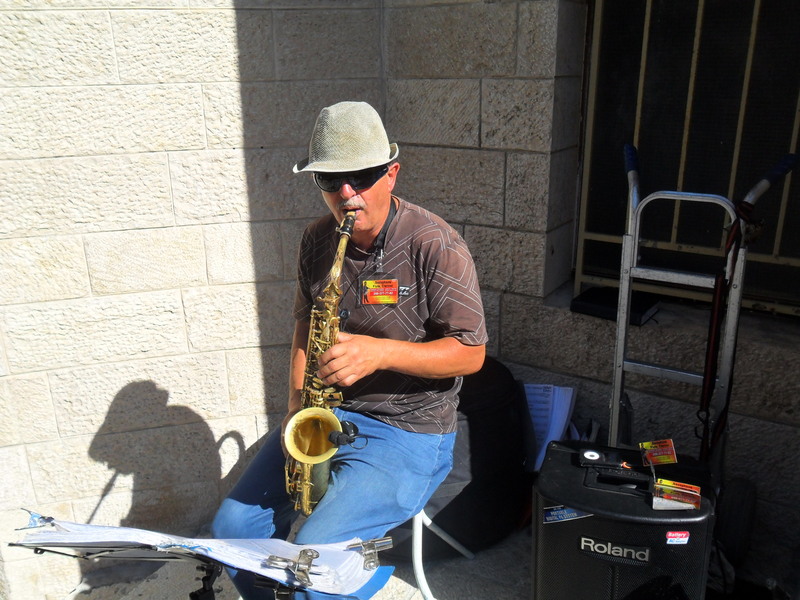 Another interesting feature of Jerusalem (Tel Aviv too) are the street performers. 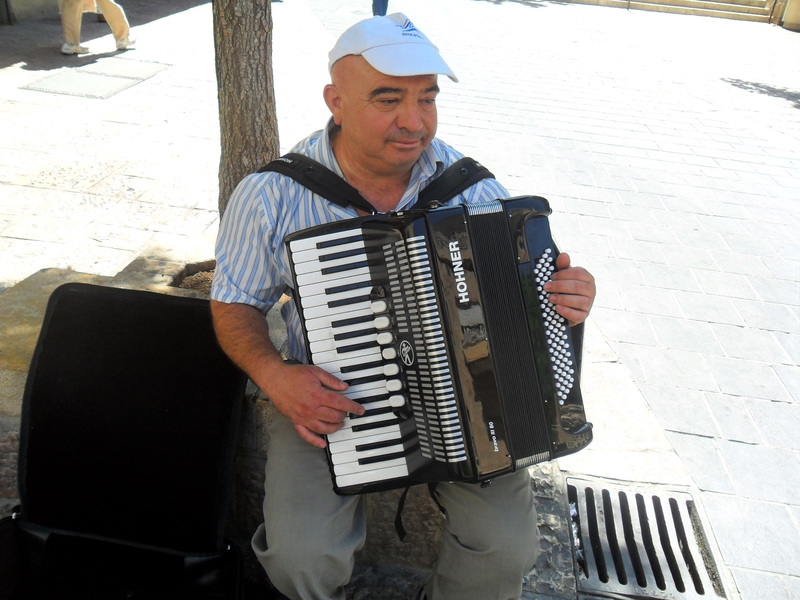 A man playing accordion performed on Ben Yehuda and another we found was a saxophone player in the Old City approaching the Kotel (Western Wall).